We are happy to report that we recently harvested 352 lbs. of bananas from our banana grove. We are thankful for this nutritional staple in our children’s diets which provides them with a high source of potassium as well as other nutrients such as magnesium, folate, vitamins A and C, and dietary fiber. Our coconut grove is also flourishing with 115 trees, including 30 new coconut trees which we planted 6 months ago — the new coconut trees will mature in 7-8 years. We will harvest our 85 mature coconut trees in mid-November — we reap a harvest of over 1,400 coconuts per year. The younger coconuts are used in the children’s diets — after the nuts are opened, the soft sweet meat is delicious to eat, and the juice is refreshing and hydrating. Coconut milk, made from the meat of coconuts, also provides our children with nutrients including vitamins C and E, many B vitamins, and magnesium, potassium, phosphorous, and iron. 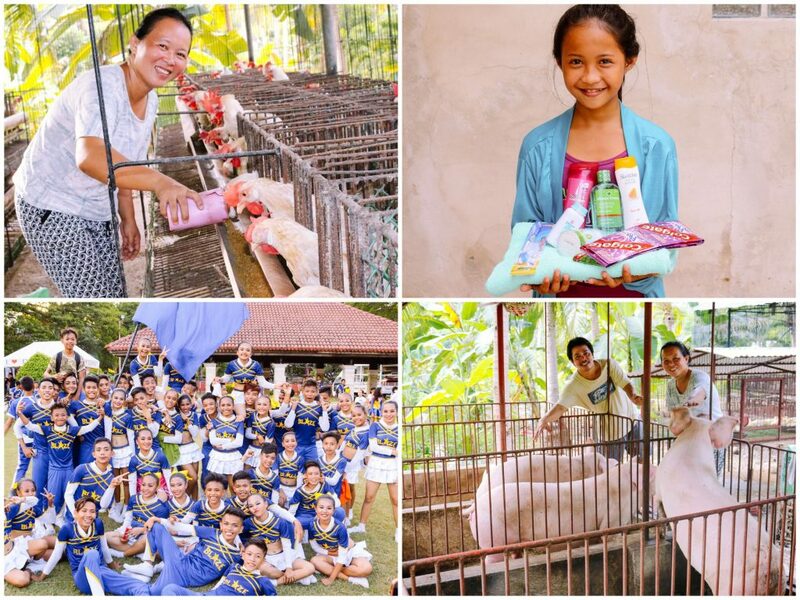 Photo inset: (Top-left): A member of our native Cebu team cares for hens in our hen house, which currently consists of 140 hens that produce between 120-300 eggs per day. (Top-right): Our native team gave hygiene kits to all of the children enrolled in the Cebu Children’s Hope Center. 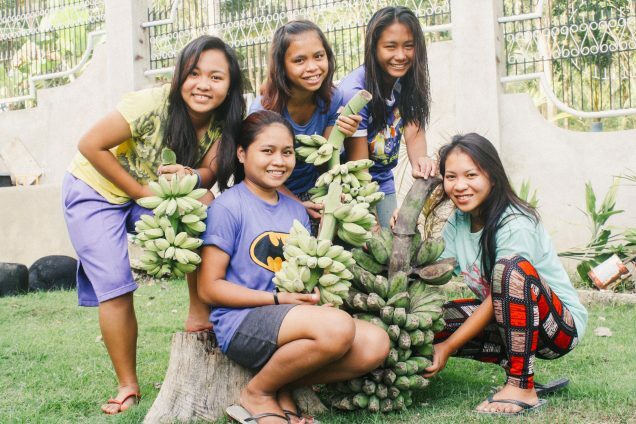 (Bottom-left): Several girls from our Philippines girls home recently competed in a municipal student sports league and won first prize in the cheer dance competition. (Bottom-right): Our native team is excited about the recently expanded piggery, which currently houses 8 mature pigs and 1 piglet.